If you operate a local company, then SEO services can be the best investment to grow your brand’s visibility and gain more traffic. 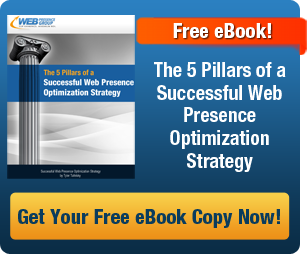 Whether you are as established business with a long track record in your are or a start-up looking to break into the market, establishing a solid web presence is vital for success. One of the most efficient ways to achieve this is professional SEO services from a reputable search marketing company. First, it is important to define what SEO is in order to better understand what these services can do for a business. SEO stands for Search Engine Optimization, a practice of determining the most relevant keywords that reflect a company (and the type of traffic it seeks to generate,) and optimizing its web presence to increase the visibility of the company. When researching various SEO services available, it’s critical to find an SEO company that is devoted to supporting local businesses across all industries and fields. There’s a broad spectrum of providers around the world, and many of them provide shotty (next to risky) SEO services. On the quality end of the spectrum, great SEO companies have high ethical standards, and ensure they are producing original, audience-driven content that will bring potential customers to a business’ site. With such top-notch SEO solutions, ROI is commonly quite high for businesses that invest accordingly. This is simply because greater rankings and visibility in the search engine results is one of the best ways to connect with in-market customers. With search engines, individuals are actively looking for a specific product, service, or solution to their needs. If your local business is most visible, or owns the top ranking, they are more likely to know about your company and visit your website. This level of exposure often makes the price paid for SEO services well worth the marketing ROI. Local SEO services can even drive the growth of your business in unexpected ways like local reputation management and improving credibility across social media channels. Specialized SEO services are able to provide your business with many options and opportunities for increasing brand image of your business. With strategies surrounding review generation and content marketing, SEO can be the fuel to cultivate a positive local reputation. 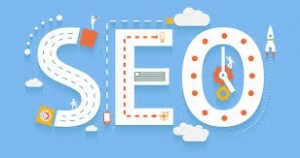 While not all SEO companies offer such proficiencies, select local SEO services, like those offered by Web Presence Group, CaptivateLocal.com, and other search marketing companies, cover reputation management and other aspects of business growth. Google Maps marketing has become extremely powerful for all types of businesses operating on the local level. As a result, comprehensive SEO services will often include the strategies revolving around Google Maps and increasing exposure in these coveted areas. The above are just a few ways in which local SEO services can help increase a company’s marketing efforts and generate new leads and customers. Just be sure to do your research and invest in a reputable SEO company that will work to deliver an honest ROI.